Two re-occurring themes surface in after-action reports from exercises and operations. The first is that NATO Commanders and staffs naturally and increasingly turn to the Legal Advisers to help plan, execute, coordinate, evaluate, and support the assigned mission. The second is that no single doctrinal resource exists in NATO to assist legal practitioners in the fulfilling of this task. 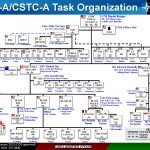 Although several Alliance members have produced such guides, before the NATO Legal Deskbook none existed for Legal Advisers and legal personnel assigned to NATO commands. Whether doctrinally ready or not, the Alliance calls upon NATO Legal Advisers and staffs to advise and, often, help direct the execution of the legal component of a mission or mandate. NATO owes these attorneys, paralegals, and legal personnel, who work under often austere and demanding conditions, practical guidance in the form of a comprehensive resource that provides an overview and insight on the legal regime that forms NATO practice. Fulfilling this need is the genesis, purpose and rational for this practitioner‘s guide. NATO recognises that that the military alone cannot resolve a crisis or conflict. There is a need for more deliberate and inclusive planning and action through established crisis management procedures that allow for both military and non-military resources and efforts to be marshalled with a greater unity of purpose. Adopting such a comprehensive approach to operations begins with inculcating a culture of active collaboration and transparency among those involved in crisis management. The need to communicate effectively with a wide range of audiences is not just desirable, it is essential to gain understanding and support for NATO’s operations. Public support for NATO’s missions and tasks follows from public understanding of how the Alliance makes a difference to international peace and security. Public confidence, in turn, is enhanced by NATO’s ability to achieve its mandate in a way that is open, transparent. and consistent with member nation values and expectations. The mission of KFOR as authorised by the North Atlantic Council (NAC) is to contribute to a safe and secure environment in Kosovo and to support the development of security institutions capable of operating without NATO assistance. The adaptation of KFOR’s force posture during 2010 and its unfixing from Properties with Designated Special Status have been supported by an effective strategic communications (StratCom) approach which has been closely coordinated at all stages throughout the NATO chain of command and NATO HQ. Continued StratCom efforts will be required to complement and support military and civilian activities during 2011 as KFOR’s footprint and posture continues to adapt and as progress is made toward mission achievement. OPERATION OCEAN SHIELD was launched by the North Atlantic Council on 17 August 2009. NATO is conducting counter-piracy activities as part of an internationally recognised and supported effort in a region of strategic interest to the Alliance. NATO’s commitment is as a complementary player in coordination with the other international counter-piracy actors including the EU’s Operation ATALANTA, CTF-151, and individual nations. 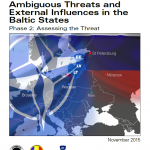 All aspects of NATO activities have a critical information and communications component. This concept proposes that Strategic Communications is not an adjunct activity, but should be inherent in the planning and conduct of all military operations and activities. As part of the overarching political-military approach to Strategic Communications within NATO, the vision is to put Strategic Communications at the heart of all levels of military policy, planning and execution, and then, as a fully integrated part of the overall effort, ensure the development of a practical, effective strategy that makes a real contribution to success. Today’s information environment, characterized by a 24/7 news cycle, the rise of social networking sites, and the interconnectedness of audiences in and beyond NATO nations territory, directly affects how NATO actions are perceived by key audiences. That perception is always relevant to, and can have a direct effect on the success of NATO operations and policies. NATO must use various channels, including the traditional media, internet-based media and public engagement, to build awareness, understanding, and support for its decisions and operations. This requires a coherent institutional approach, coordination of effort with NATO nations and between all relevant actors, and consistency with agreed NATO policies, procedures and principles. The current transatlantic environment will continue to challenge NATO’s ability to carry its messages proactively and engagingly to diverse audiences across the globe, but it also entails a number of positive trends on which NATO’s future communication efforts should build. From a broader perspective, the public climate in Europe and North America has recently become more supportive of a close transatlantic security relationship compared to previous years. As the 2009 Transatlantic Trends survey shows, the Alliance has regained public support in many, albeit not all Allied countries. Moreover, NATO’s 60th anniversary, the NATO Summit in Strasbourg/Kehl, the arrival of a new Secretary General in late summer and the launching of a public debate about NATO’s new Strategic Concept have spurred broader public attention and interest in the Alliance. The role of Psychological Operations (PSYOPS) is to induce or reinforce the perceptions. attitudes and behaviour of North Atlantic Council (NAC) approved audiences in support of Alliance political and military objectives. Additionally, PSYOPS can mitigate the effective use of hostile propaganda against friendly forces, local civilian audiences and other audiences of importance to NATO. 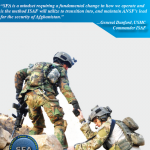 The aim of this reference book is to provide the additional information needed by Information Operations (Info Ops) practitioners to better understand and implement the advising and coordinating function of Info Ops in the staffs throughout all levels of command. The reference book covers the experiences and lessons learned on principles, procedures, and techniques in current operations as well as some basic understanding on how to best integrate the Info Ops function in the new evolving structures (new Peacetime Establishment) and procedures within NATO with respect to effects based thinking and the new Comprehensive Operations Planning Directive. The Information Environment (IE) comprises the information itself, the individuals, organizations and systems that receive, process and convey the information, and the cognitive, virtual and physical space in which this occurs. This environment has seen significant changes in recent years. The importance of worldwide distributed information, the speed at which information is communicated, the role of social media and the reliability of information systems have created a situation in which no Alliance decision or action can be taken without considering its potential impact on the IE. The ubiquitous nature of information and the potential strategic ramifications of tactical actions add to the challenge faced by NATO Commanders. In this new IE it is more difficult to distinguish between the strategic, operational and tactical levels. The coordination, synchronisation and execution of information activities (IA) that deliberately create desired effects in the IE is essential to the Alliance’s successful functioning in peace, crisis and conflict. 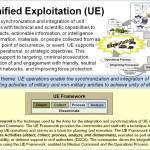 The purpose of Allied Joint Publication (AJP)-3.10 Allied Joint Doctrine for Information Operations is to explain how Info Ops support the planning, conduct and assessment of operations. The provenance for AJP-3.10 is MC 422/3 NATO Military Policy on Information Operations, which clearly acknowledges the primacy of civil/political direction on information issues and that the policy and subordinate doctrine applies to the military lever of power only. AJP-3.10 is focused on the operational level. It defines and discusses principles of Info Ops, and highlights those particular Info Ops considerations relevant to the conduct of operations, such as the sensitivity to political factors, and the role of non-military entities and emerging technological capabilities in the information environment, both within and external to NATO.